Xanterra Parks & Resorts and Austin Adventures are teaming up on travel promotions to honor America’s veterans and active military members by way of a photo-sharing contest as well as discounts on 2016 Austin Adventures tours. DENVER, CO – Xanterra Parks & Resorts and Austin Adventures are teaming up on travel promotions to honor America’s veterans and active military members by way of a photo-sharing contest in which the public is invited to enter the #FreeBecause from Nov. 1-12 as well as discounts on 2016 Austin Adventures tours booked between Nov. 9-13. The #FreeBeacause photo-sharing contest grand prize is a trip to the Grand Canyon that will be awarded to a veteran or active military member and his/her family. There are also daily giveaways. Xanterra Parks & Resorts and its affiliated properties, The Broadmoor and The Inn at Sea Island, are sponsoring the contest and offering exclusive vacation deals in honor of Veterans Day. The prize includes two nights at The Grand Canyon Railway Hotel, one night at the Maswik Lodge in Grand Canyon National Park, round-trip airfare up to $1,500, up to four first-class tickets on the Grand Canyon Railway and two meals per day for up to four people. 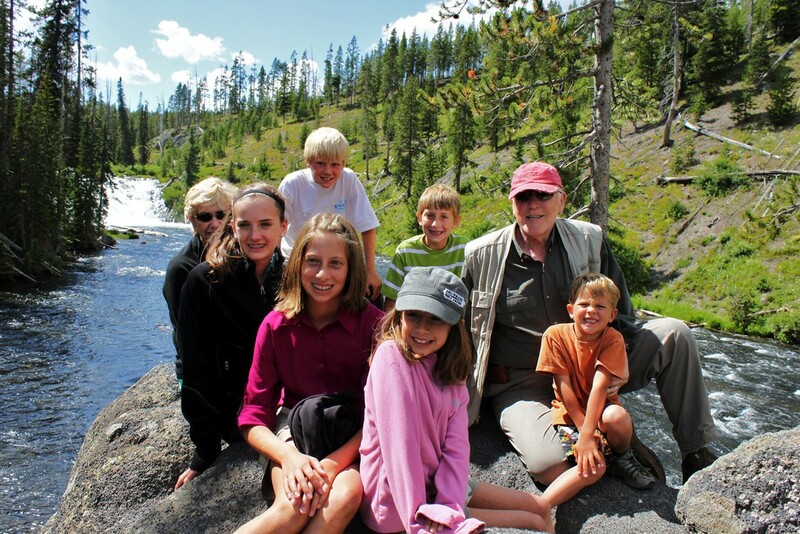 Based in Billings, MT, Austin Adventures (formerly Austin-Lehman Adventures) has spent more than 40 years building an international reputation as a provider of scheduled small group tours and customized trips to all seven continents. In 2013, Austin Adventures joined the Xanterra Parks & Resorts® portfolio of experiential leisure offerings that includes operations in Grand Canyon, Yellowstone, Zion, Crater Lake, Glacier, Rocky Mountain and Petrified Forest National Parks; Mount Rushmore National Memorial; Furnace Creek Resort in Death Valley National Park; and five Ohio State Park Lodges as well as the Geneva Marina at Ohio’s Geneva State Park. Xanterra Parks & Resorts also owns and operates Kingsmill Resort in Williamsburg, Va., the Grand Canyon Railway and Hotel in Williams, Ariz., the Grand Hotel in Tusayan, Ariz., Windstar Cruises, VBT Bicycling and Walking Vacations, Country Walkers and Austin Adventures. For more information on all of the destinations, trips and itineraries offered by Austin Adventures visit www.austinadventures.com, call (800) 575-1540 or email info@austinadventures.com. Vietnam veteran Leon hooks into a big one on one of Rivers of Recovery’s fly-fishing programs. Fly-fishing can be medicinal. It is one of the outdoor recreational therapy strategies that Rivers of Recovery (www.riversofrecovery.org), a 501c3 nonprofit organization, uses to help combat veterans who have been physically affected, or are suffering from traumatic brain injury (TBI) or post traumatic shock disorder (PTSD). The organization’s program fosters confidence-building through outdoor activities and talk therapy in a relaxed, supportive environment. In July, MPulse Maintenance Software (www.mpulsesoftware.com), a division of SpecTech, Inc., helped sponsor two fly-fishing trips for combat-wounded veterans on Oregon’s majestic McKenzie River. The company donated 5% of its May 2013 sales revenues to help sponsor two, two-day trips of six veterans each, and the overall operations of Rivers of Recovery. While it started out as a simple fundraising effort for a good cause, MPulse employees soon became invested in the Rivers of Recovery mission. Jason Johnson, MPulse’s vice president of sales and marketing, began advocating for a fly fishing trip on Oregon’s scenic McKenzie River near the MPulse headquarters — the first time the Rivers of Recovery organization has held trips there. Johnson reached out to Chris Daughters — owner of Caddis Fly (www.thecaddisfly.com), a Eugene, Ore., fly fishing shop — to organize the trips. Johnson and Daughters worked closely with Amy Simon, executive director of Rivers of Recovery, to ensure the trips followed the therapeutic guidelines set forth by Rivers of Recovery. Each group of six veterans received two back-to-back days of guided fly fishing, which took place July 21-22 and July 24-25, 2014. The river guides were provided by Daughters, who also arranged lodging for the group in his cabin at Loloma Lodge in Blue River, Ore.
Eugene area veterans Troy Givens, Michael Oreskovic, and Jacob Courtright volunteered as camp hosts for the trips, organizing the food, social activities, and transportation. All three are former participants in Rivers of Recovery trips, and they were well versed in the process and the therapeutic benefits of the program. Rivers of Recovery was founded in 2008 by Dan T. Cook as a means to help combat veterans overcome the invisible scars of war. In six years, Rivers of Recovery has hosted hundreds of veterans through our unique rehabilitation program. As an industry leader in veterans rehabilitation, Rivers of Recovery utilizes a medically designed curriculum coupled with outdoor recreational activities to treat combat veterans suffering with Post Traumatic Stress (PTS), minor Traumatic Brain Injury (mTBI), stress, anxiety, and depression. Each Rivers of Recovery trip hosts six to ten combat veterans on a science-based, experiential rehabilitation program that focuses on confidence-building, outdoor activities, talk therapy in a relaxed, positive environment and proven techniques on the self-management of symptoms, stressors and responses. Through fly fishing, instruction increases self-confidence, skill-improvement builds empowerment, and achievement facilitates enthusiasm and resiliency.